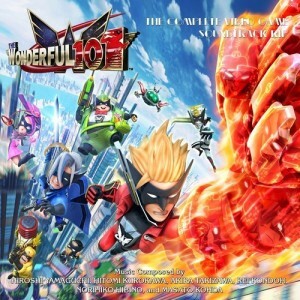 Released for the Wii U to much critical acclaim, but less-than-stellar sales, it took over a year for The Wonderful 101 to receive a soundtrack release. But in September 2014, it finally arrived as a complete two-volume soundtrack available through various digital retailers. 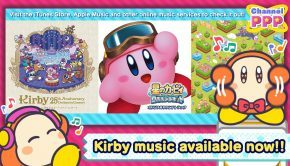 The game itself is a roller coaster ride of personalities, so it is fitting that the music ranges from fun, light hearted melodies to intense brass features to sweeping string licks. If you are a game music fan and have not listened to this soundtrack as a standalone experience, you are seriously missing out. Nearly 60 years of collective experience went into The Wonderful 101 Original Soundtrack. The continuity from composer to composer is incredible on this two-volume soundtrack. Each composer has added their own voice to this soundtrack without compromising the integrity or flow. From track-to-track it truly sounds like one person alone composed it, but each composer also gives his or her all to make this a truly memorable listening experience. Staying true to the orchestral style, listeners will hear the influence of composers such as Aaron Copland, Ludwig van Beethoven, John Williams and Gustav Mahler. At times this music is cinematic, and other times I feel like I am in a concert hall watching a live orchestra. 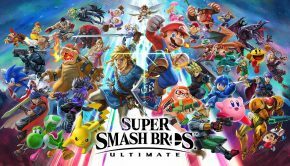 Themes weave in and out and never become stale creating one of the most epic sounding, grandiose and energetic soundtracks in the modern era of gaming. Catchy, bombastic themes will inspire the masses and influence fans and other game music composers alike. While some listeners may argue that this is not traditional game music, I believe it sets a standard for what game music can be. With over 5 hours of music, it is hard to narrow down which songs to analyze, as there are numerous highlights worth mentioning. I suggest making a playlist of your favorites, even if themes return often on different parts of the album. For example, you could start with the tracks of newcomer Hitomi Kurokawa. Kurokawa’s contributions to this album offer an eclectic mix of marches, a beautiful ending credits track, and even a short accordion solo entitled “Shopping”. Also known for her work on the Bayonetta 2 soundtrack, Kurokawa layers dissonant orchestral sounds over percussion to provide an eerie atmosphere in “ST05-1 Ogretoe Jungle/ST05-2 The Lost City of Lorule”. I really enjoyed the quirkiness of “Shirogane’s Theme” as it offers a lighter touch and a break from the plethora of bombastic tracks. “Shirogane’s Theme” is in a march style with a fun melody. I appreciated Kurokawa’s interpretation of the “Title Screen” theme in the opening of “ST05-1 Ogretoe Jungle/ST05-2 The Lost City of Lorule”. Her lively interpretation is fully orchestrated before it breaks into a dark, mysterious percussion heavy groove with jungle like sound effects and a thinned instrumentation. The track soon transforms into a barrage of fully orchestrated melodies and a choir that is mixed smoothly into the track. He also offers a few 8-bit inspired tracks such as Takizawa’s “EV23-2 Talking With The New Member (Black Ver.) / EV23-3 Wonder-Eyes (Black Ver. )” Kurokawa’s collection of music shows a diverse command of many different styles of music to say the least. Composer Norihiko Hibino of GEM Impact Studio is no stranger to game music, or the video game music community. Hibino has been recognized for his contributions to game music, especially the Metal Gear Solid series, providing ominous sounds and orchestrations for the series. Hibino’s experience in game music helps his contributions such as “Action!” portray the energy and explosiveness of The Wonderful 101 gameplay. Hibino stays true to the animated and youthful nature of the game and pulls away from the darker style of Metal Gear and Bayonetta, offering an intense tongue-in-cheek sound, but a sound that everyone from adolescents to adults can enjoy. “Emergency Landing” is a frantic, brisk tempo piece with a full orchestration that is modern sounding with big Mahler sounding brass parts. “Tension” will take Metal Gear fans on a trip from the past, as it provides an almost sneaky sound with percussion that just barely boils in the mix. “EV21 Determination” releases the tense atmosphere and will make listeners ease up a little, offering a sense of pride, but a longing feeling as well. The harp part is in the background while the strings and upper woodwinds are blended with an expert touch, consisting of strong harmonies. The trumpets, woodwinds and strings gently pass the melody back and forth to create a wonderful ensemble experience. Hibino also teamed up with Hiroshi Yamaguchi of Platinum Games to create “Intro Movie” which sets a mood for the rest of the soundtrack. Listeners will know something awesome is about to start when the bass provides a deep pedal tone right in the beginning of the track. When the brass and strings make their entrance the music drives forward into “Title Screen”, composed solely by Yamaguchi. The music from “Title Screen” sits back on a moderate tempo, preparing listeners for quite a ride. Yamaguchi’s work on the Okami Original Soundtrack and Bayonetta 2 soundtrack shine through on The Wonderful 101 Original Soundtrack. Yamaguchi pours his spirit into “The Won-Stoppable Wonderful 100”. The Japanese version might be my favorite track on this soundtrack as listening at any hour wakes me up and inspires me to sing along. The melodies are pentatonic at times, while the harmonies sound Western in nature. The driving snare drum part provides a foundation for the strong male choir. The accented snare hits line up with the timpani and auxiliary percussion hits creating an impacting, tight sounding rhythm. The range of the FORESTA choir heard in the Japanese version is incredible and hits the low notes that many bass singers practice so hard to hit. The strength of this track is inspiring whether you listen to the Japanese vocal version with lyrics by game director Hideki Kamiya, or the English version with translations by Brian Gray and lyrics by Hideki Kamiya. Vocalists Jimmy Wilcox, Rob McElroy and Bruce Blanchard truly bring the English version of “The Won-Stoppable Wonderful 100” to life. The transfer of energy from track to track and composer to composer is incredible and the music never falters or skips a beat. The transition from “Title Screen” (Yamaguchi) to “ST00 School Bus Pandemonium”, composed by Akira Takizawa of Platinum Games, is exciting and full of action. The dark harmonies are mixed well with the bottom end of the piano, which offers a sinister sound in the beginning of the first volume. The progressive nature of this track will excite music fans and inspire musicians and composers alike. “Punch Punch March” is mixed and mastered very differently from most of the other orchestral tracks. The piece remains in the orchestral style like the majority of the album, except it sounds like it is being played through a transistor radio or on an AM radio station from the 1950’s. That is not to say the piece sounds bad or distorted in any way; the music simply sounds vintage. Takizawa’s stingers are located on volume 2 and absolutely correspond with the rest of the soundtrack. The stinger entitled “Welcome! Welcome!” sets the listener up nicely for Kurokawa’s “Shopping” music. Unfortunately for fans and Takizawa, iTunes has printed a duplicate track of “The Right Mix” onto track 60 untitled “Acquired Knowledge 2”. The true “Acquired Knowledge 2” stinger can be heard on YouTube, but it is a real disappointment that iTunes has accidently duplicated a track. Takizawa’s “Red vs. Blue” is a full-length track that shows off the composer’s expertise with syncopated, progressive style orchestral riffs. The music is fun to listen to but still portrays a feeling of tension. The layered percussion provides a sturdy foundation for the bright brass and sweeping harp and upper woodwind parts. Masato Kohda ramps the energy back up with “Tentacules-Class Amphibious Mobile Fortress Ohdarko”. This piece is as big and scary sounding as the octopus boss, Ohdarko, is during gameplay. 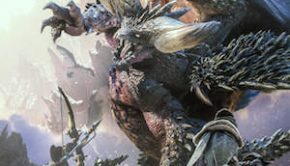 Kohda uses his scoring experience from games such as Monster Hunter, Devil May Cry and Conception to give the listener the feeling of a giant monster set on a path of destruction. As a percussionist I really enjoy listening to Kohda’s “EV24 Briefing 2” as the snare part sounds like a lot of fun to play! I love how the introduction starts with the percussion and how the instruments get layered to a big impact. The snare part has enough flams and rudiments in it to make me want to learn the part and play along. The tambourine and xylophone add to the orchestral nature of the track and I can’t help but imagine a live orchestra playing in front of me. The winds and strings are, for me, the icing on the cake. Kohda’s “ST04-2 10,000 Meters Under the Sea” takes a lighter tone and harkens back to his work on the Conception series with the use of delicate glockenspiel notes and airy harmonies. At other times this track almost sounds a bit like Star Wars, as do many of the other tracks, but this is simply a homage and not in any way a re-creation. Maybe it is the vibe and piccolo licks that make me think of Star Wars, or maybe the slightly overblown tuba pedal tones. The sultry violin melodies mixed over top of the ominous brass harmonies simply make me feel like I am floating in the cold blackness of space. As much as I enjoy Kohda’s percussion parts, I also enjoy Rei Kondoh’s studio percussion scoring in “ST06 The Lost City of Kowrule”. I love how the percussion adds to the accents in the wind and string parts. The metallic percussion ostinato in the background fills space so the swooping flute parts do not sound empty. The snare drum rolls are crisp and tight while the timpani and bass drum add strength to the melodies. Piano can be heard in the mix as well that helps to provide a full sound. Many of these tracks may sound similar, but “Guyzoch Space Pirate Teio Form” stands out, to me, because of the harpsichord sound that is in the foreground of the mix. Harpsichord gives the music a unique characteristic that is a little different than the rest of the album. Influences and experience from Kondoh’s earlier works such as Okami and the Sengoku Basara series can be heard on The Wonderful 101 Original Soundtrack. Kondoh certainly has an energetic and slightly dark side that he brings to the album such as heard in “Team, Unite Up! 1”. Like the rest of the composing team, much percussion is used to support the triumphant melodies and thick harmonies. I appreciate how upfront Kondoh places his percussion in the mix as Takizawa does in “Gah-Goojin Raid”. However, wind and string players can still enjoy this music, as there are plenty of epic brass licks, awesome string effects and expertly crafted wind melodies. The soundtrack alone is enough to get gamers like me who are skeptical of the quirky nature of the game to try it out. The energetic rhythms and catchy melodies have been stuck in my head and don’t seem to be leaving any time soon. I can’t help but picture the many heroes rushing around on screen when I hear the music, which again, makes me want to experience gameplay. You don’t have to be a superhero fan or a cinema buff to enjoy this music, as there is something for nearly any music lover. There is even a smooth jazz piece composed by Hibino that offers a completely different face than the rest of the album, a track I will certainly add to my Wonderful 101 playlist. Personally, I enjoy electronic sounds mixed in with my orchestral scores and I did miss the distortion and grittiness while listening to this album.. The traditional orchestral sound fits perfectly with super hero theme of The Wonderful 101. This soundtrack is simply a five star must-have that deserves more attention in the gaming media. Posted on May 2, 2015 by Marc Chait. Last modified on May 2, 2015.